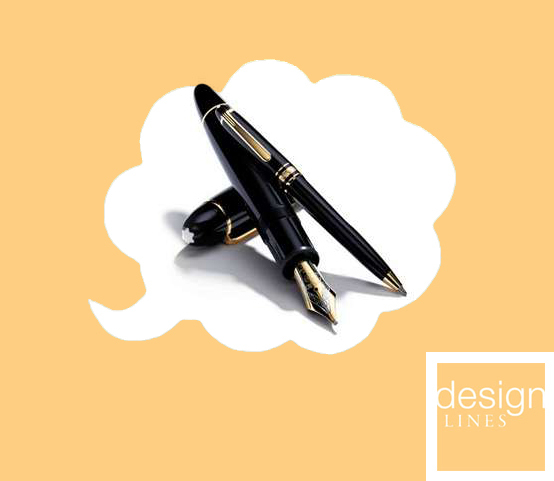 Favorite Technology/Media | Design Lines, Ltd. The office is doing Secret Santa this year and you have no clue what to get your co-worker – Look no further we’ve got 5 great holiday gift ideas that we think you will love! 1. 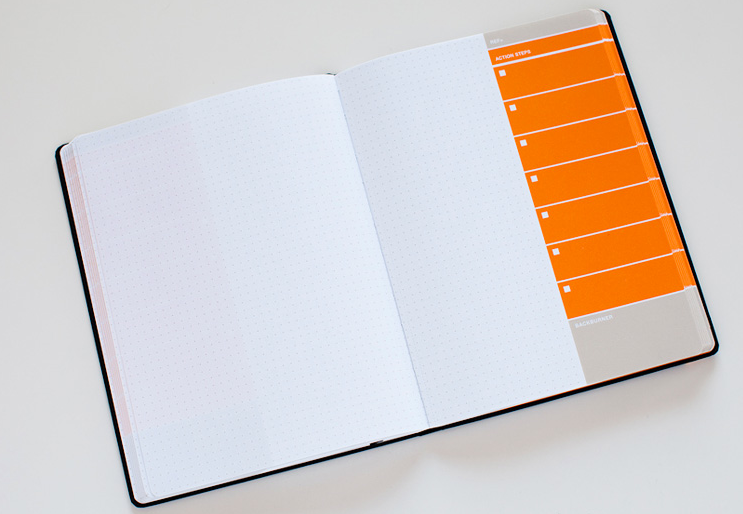 Behance Action Journal – Nothing inspires creativity more than a blank canvas and those action steps to achieve your goals. This action journal comes in three different colors for about 17.50 each. 2. 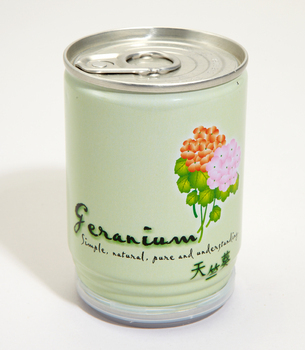 Flowers in a Can – Who would have thought? A bouquet of flowers conveniently grows in this can just by adding a little bit of water and sunshine all for about $15.00. 3. 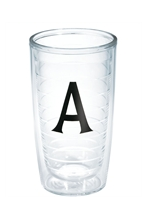 Tervis Cup – Have a thirsty co-worker? These Tervis smart cups are AWESOME and come in many different sizes. Microwavable & dishwasher safe, customizable, keeps liquid cold or warm and 100% unbreakable all for about $15.00-$20.00. 4. 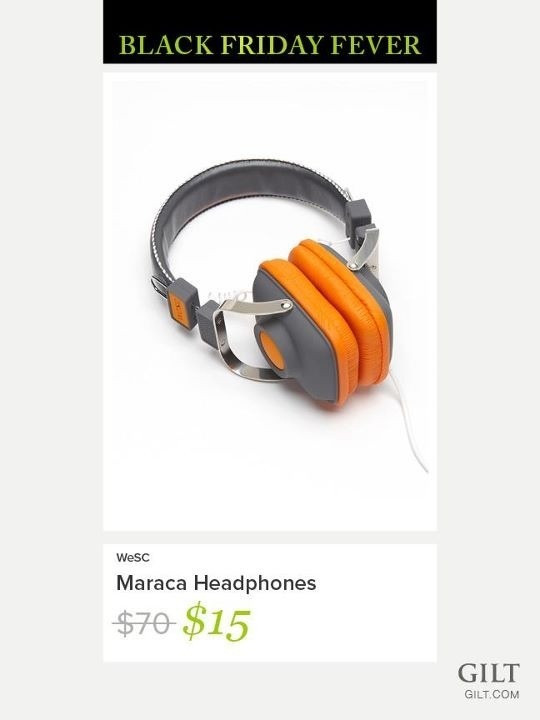 Maraca Headphones - For the co-worker who needs a mid-day jam session. These headphones are sure to bring out anyone’s inner dj. $15.00 on Gilt Groupe Black Friday Super Sale. 5. 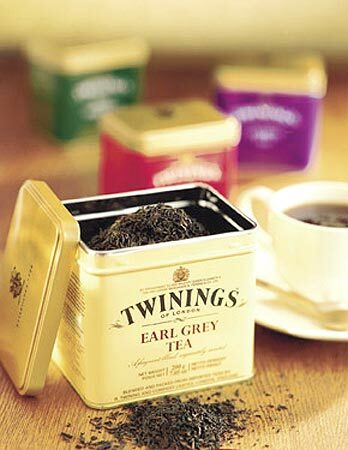 Twinings Tea – What a wonderful way to start the morning with a warm cup of tea infused with fruits, mint, and spices. What ideas do you have for your co-worker gift exchange? 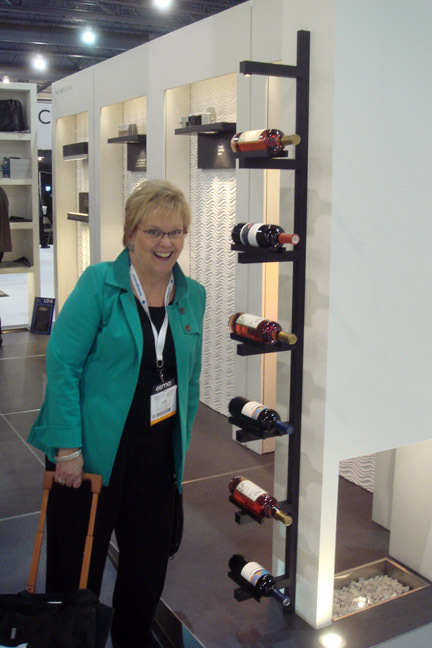 Judy and I attended Light Fair International last week in Philadelphia. We had a great time exploring the exhibition floor to get the scoop on the latest in lighting technology. We sifted through the the huge number of products to bring you our selection of the Best and Brightest from Light Fair 2011. 1. Warm light and cool light. 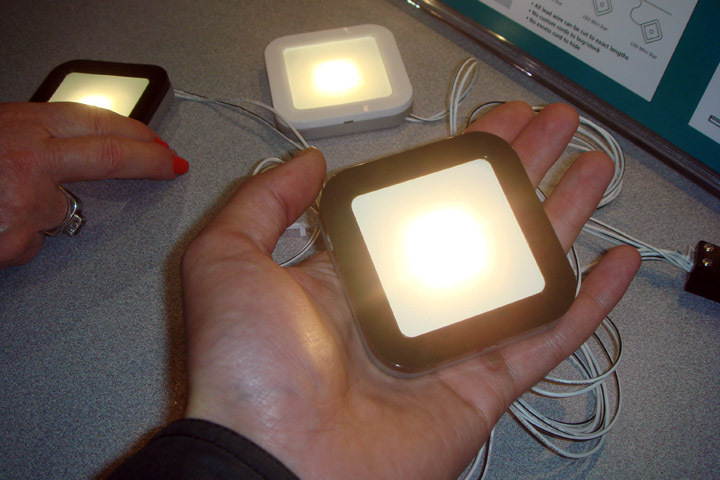 The most important offering at this year’s fair was a new techology in LEDs that allows them to emit a warm light. We saw almost every company take advantage of this new development, and most products are available in cool or warm versions – gone are the days where your only choice for LEDs is cold white light! 2. IBISS by Tech Lighting. This handsome new fixture immediately became one of our favorites. 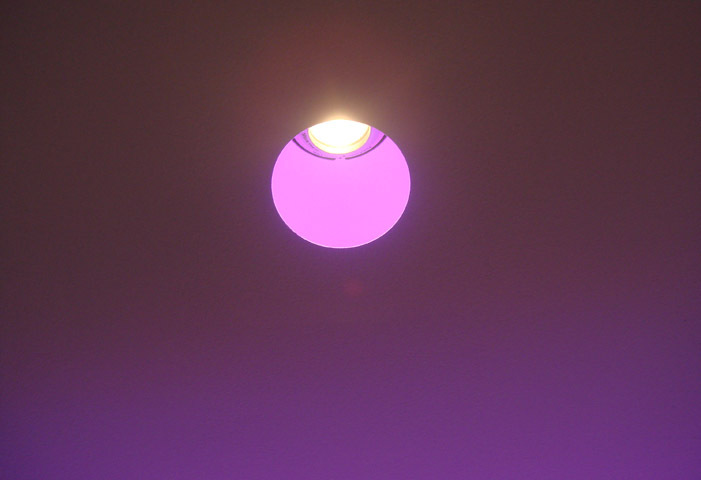 The two flat LED panels are completely adjustable, allowing you to shine light up, down, or on a wall. It can even be attached to a track system. 3. Railtones by Tech. This favorite isn’t a light at all! 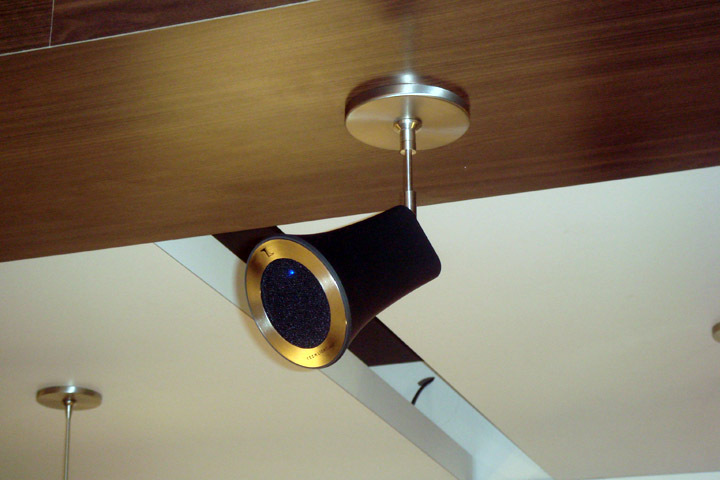 It’s a wireless speaker that can be attached directly to a track light system- what a great idea! It interfaces wirelessly with your home stereo or computer. 4. Aurora by Pure Lighting. This breathtaking down light is for the minimalist in all of us. The flush- mounted faceplate is integrated into the surrounding drywall, giving it a truly trimless, knife-edge appearance. 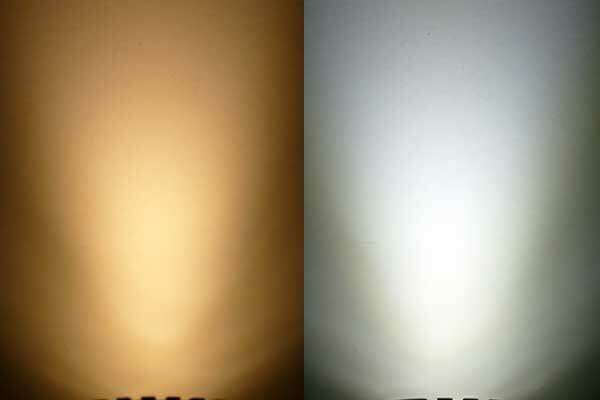 Some models can be adjusted to give off almost any color. 5. Calculite by Philips. 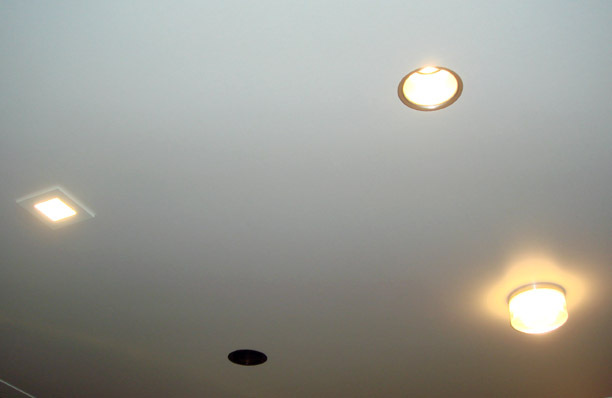 This elegant LED down light is among the smallest around – only 1.75″ in diameter. But it packs a punch, and has an impressive beam spread. The innovative installation system involves just one screw, and allows for a large selection of trims and lenses. 6. Loira Sconce by Cantalupi. 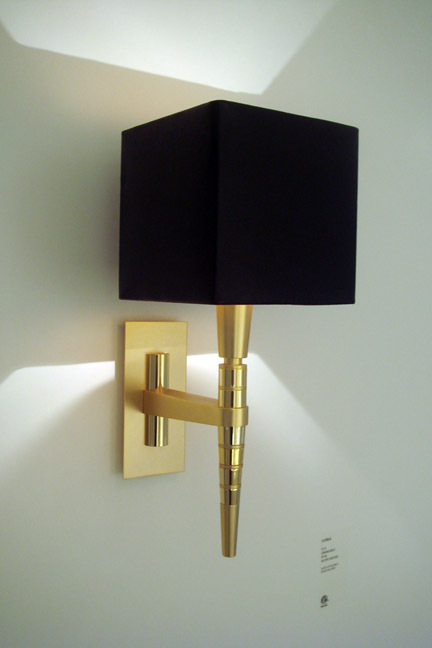 This gorgeous gold-plated sconce by Cantalupi speaks for itself. 7. LED lights by Cantalupi. Like the sconce above, these Italian fixtures speak for themselves. Small and inconspicuous at only 2 inches across, they can be used almost anywhere – even under water. 8. 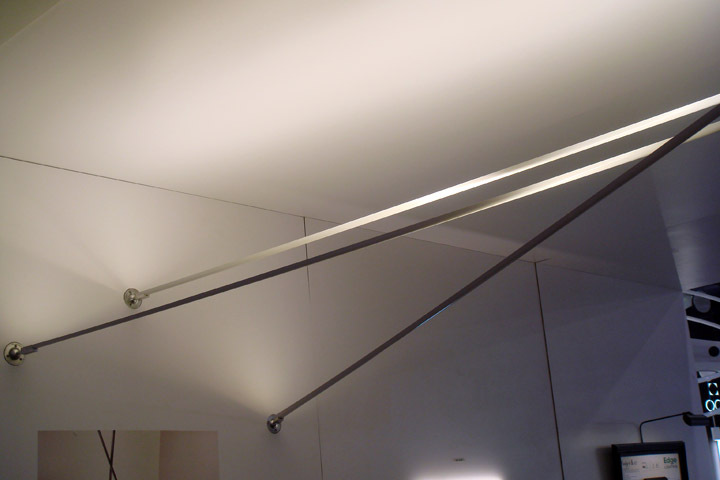 Softline by Edge Lighting. A tiny strip of LEDs was mounted on the back of what looks like a measuring tape, giving off a diffuse upward light. I love the simplicity of this fixture. 9. 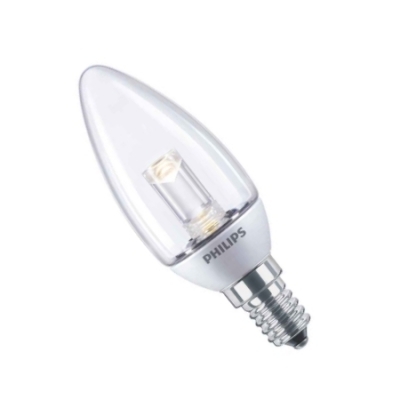 LED lightbulb by Philips. Much of the show was dedicated to lightbulbs that could replace older incandescent and fluorescents. This candelabra bulb was the best-looking among them. 10. 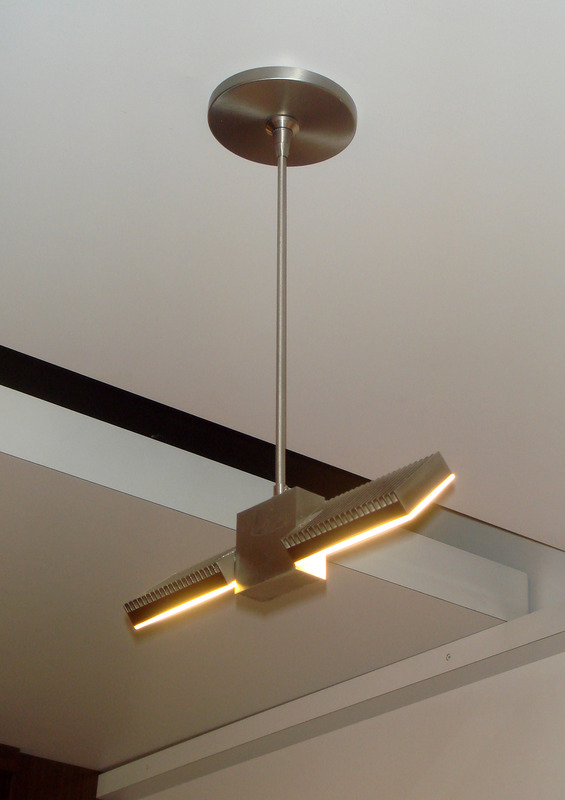 LED Circa Pendant by Phillips. This pendant, made with hand-blown glass, is beautiful AND environmentally friendly. 11. 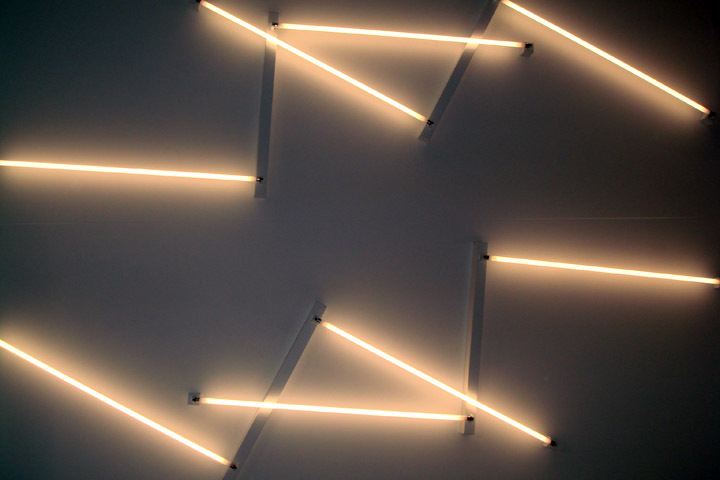 Modular Flourescent by Bartco. 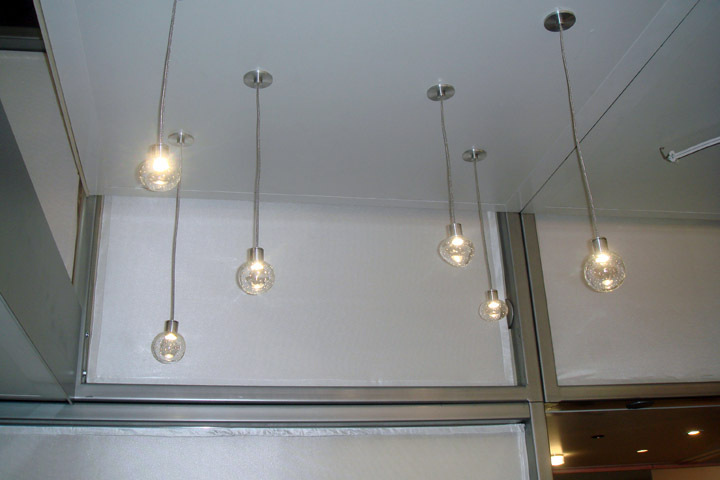 These fixtures can be arranged in almost any configuration you can dream-up. 12. Mini Star By NSL. Flat under-cabinet LED lights are an simple and attractive solution for kitchens. They give off a lot of light with almost no heat. 13. V Rail LED. 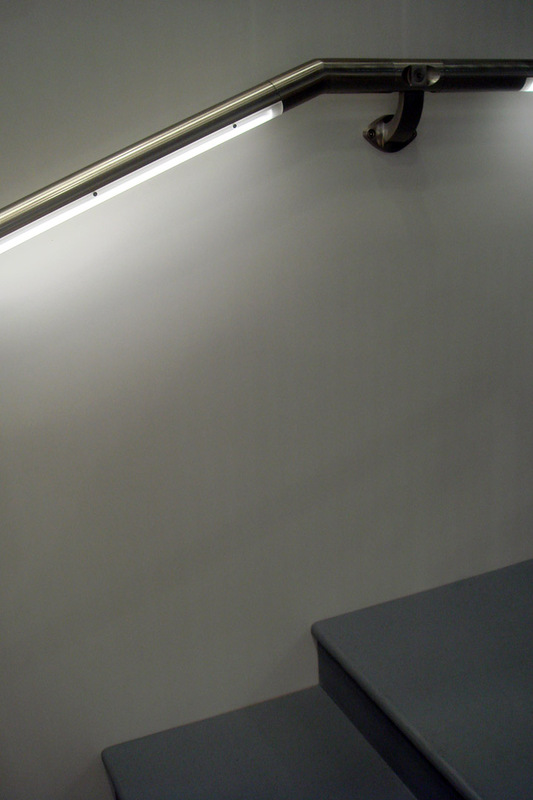 A great alternative to step lights, this underlit railing will never get hot to the touch thanks to LED technology. 14. Wine Rack with mini-LEDs by MP Lighting. This is a great example of how LEDs can go almost anywhere – look closely and you’ll see the tiny downlights above each bottle. Imagine all the possibilites! Check out the newest and latest trends from Benjamin Moore and Sherwin Williams, Brittany found on Friday. Be among the millions who can now with the click of a camera phone reproduce the color that caught your eye. This new iphone application allows you to take a picture of the color and automatically match it to a paint color. You can even store your favorites too! Now how easy is that? How do you show the paint store your favorite color? 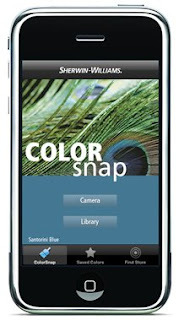 Sherwin Williams and Benjamin Moore both allow you to download the application for free. Audio, Video & Technology- Oh MY! On Monday Molly, Stephanie, Ashley, Brittany, Lauren and I went on over to Neuwave Systems for a lunch and learn. Immediately, as we walked into the studio we felt as if we were in our parent’s basement-we felt completely at home. After a delicious lunch Mark, David and Andy wowed us with all the latest and greatest in home entertainment technology. 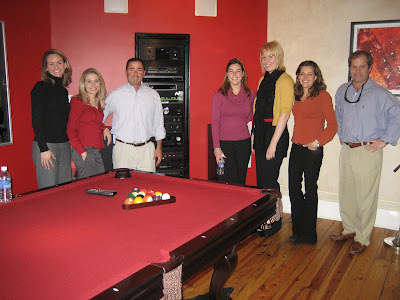 The Neuwave Studio is very impressive and allows homeowners to experience their various products before they buy. When working with our clients on producing the best entertainment center in the neighborhood, it’s a must to be knowledgeable in every tech savy way.We learned about T.V.’s, subwoffers, sound systems & control systems such as: Itouch & Control 4. Check out their cool website: here! Thanks guys! We look forward to building a partnership! This morning Hilaire & I attended a fabulous Greater Raleigh Chamber of Commerce Meeting. A conversation regarding a balanced approach to energy was led by our new friend & Progress Energy Community Relations Manager, Marty Clayton. We already strive to implement & specify only responsible lighting systems & appliances in the new construction projects we have. But the discussion was insightful & got us at Design Lines really thinking about what we could do to use energy in a more responsible way everyday. We learned some valuable lessons this morning & though we can’t share with you the Compact Florescent Light Bulbs Marty gifted to us (thank you Progress Energy) we’d like to share a few of the major points Marty shared with us & some other Chamber members. Don’t need it? Turn it off. 2- Why don’t we all consider researching/looking at Senate Bill #3 ? I know when I leave for my Illinois home next week I will be turning the thermostat down to 60 degrees & will turn off my water heater. 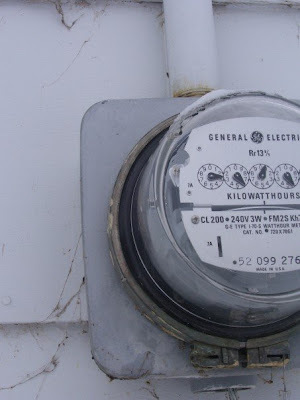 How will you save energy for the holidays and the New Year? *I took the photo above a few winters ago at my Grandmother’s home in Idaho.